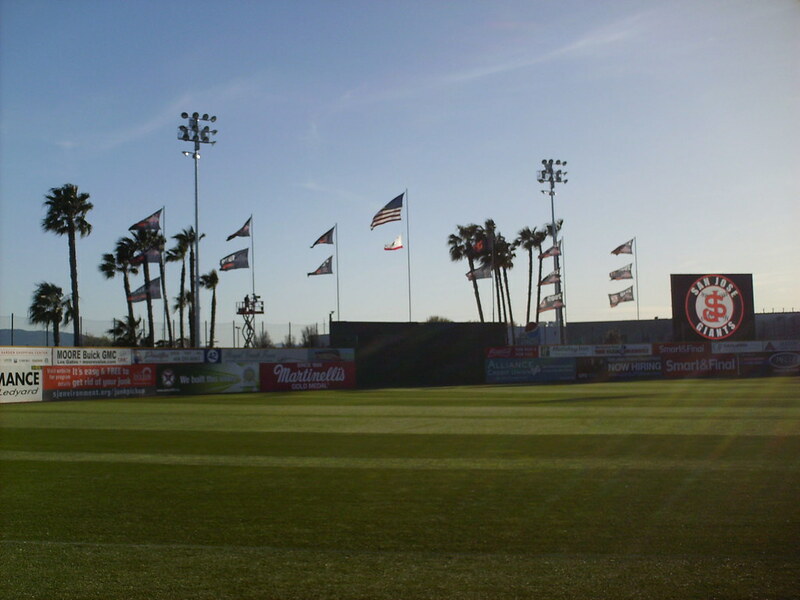 The view from behind home plate at Excite Ballpark. 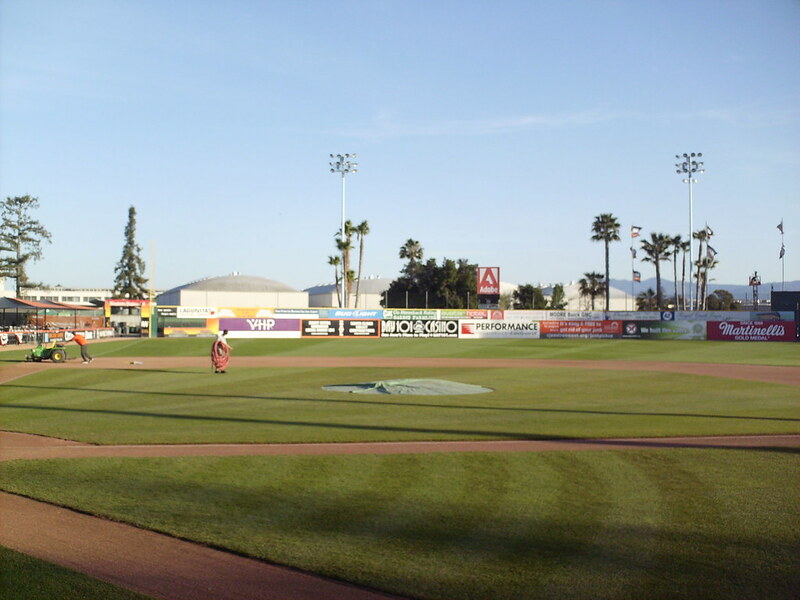 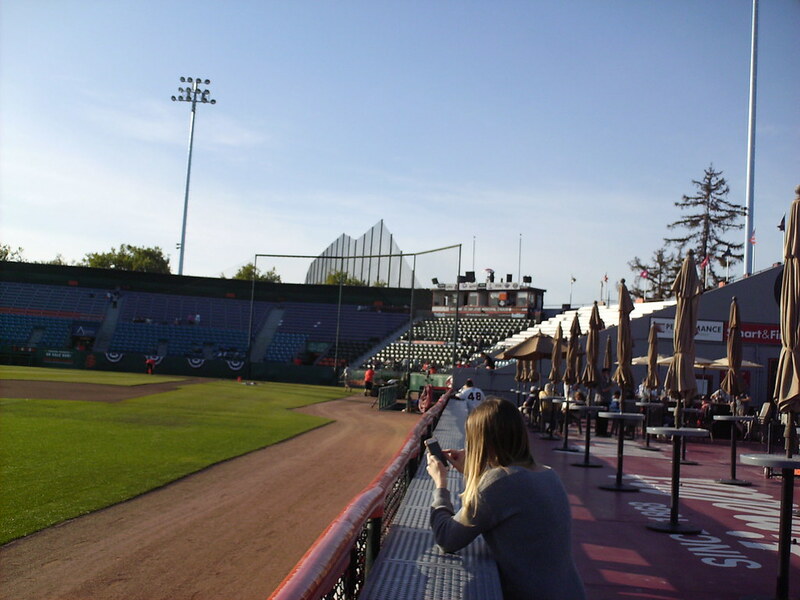 The grandstand at Excite Ballpark, as seen from the left field corner of the park. 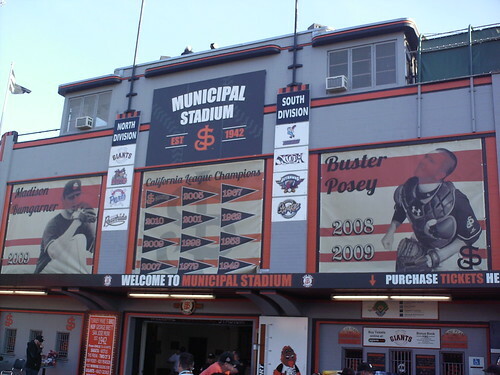 The pressbox, with logos for all the California League teams on the front, sits on top of the seating bowl. 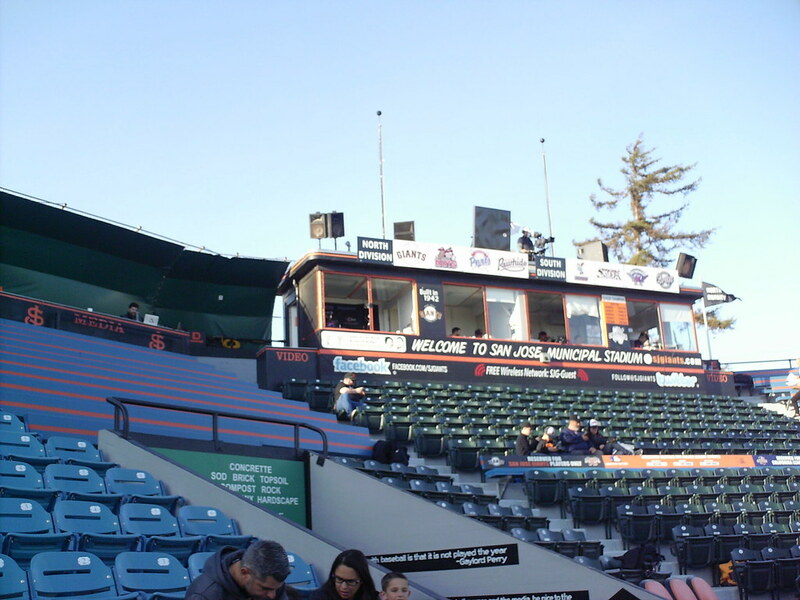 A long outdoor media desk sits beside it. 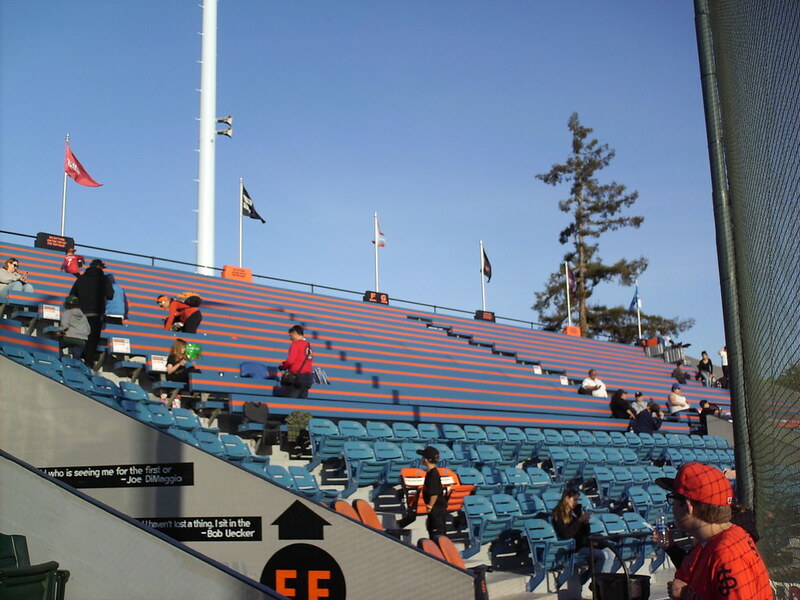 Most of the seating bowl features fold down seating close to the field with wooden bleachers at the top of the grandstand. 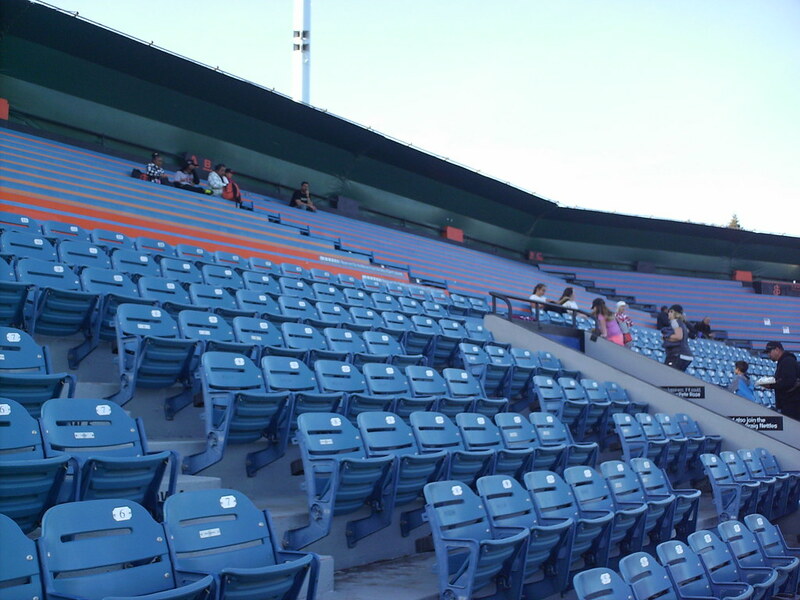 The center section of the grandstand features all plastic seats, with several rows of cushioned seats in front and a dedicated padded bench for players who are charting during the game. 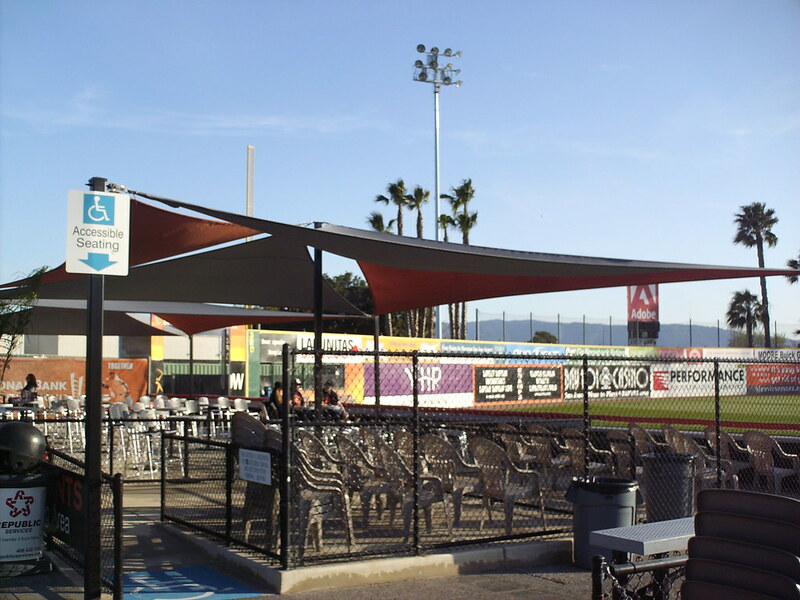 A sun shade sits on the top of the seating bowl on the first base side of the field. 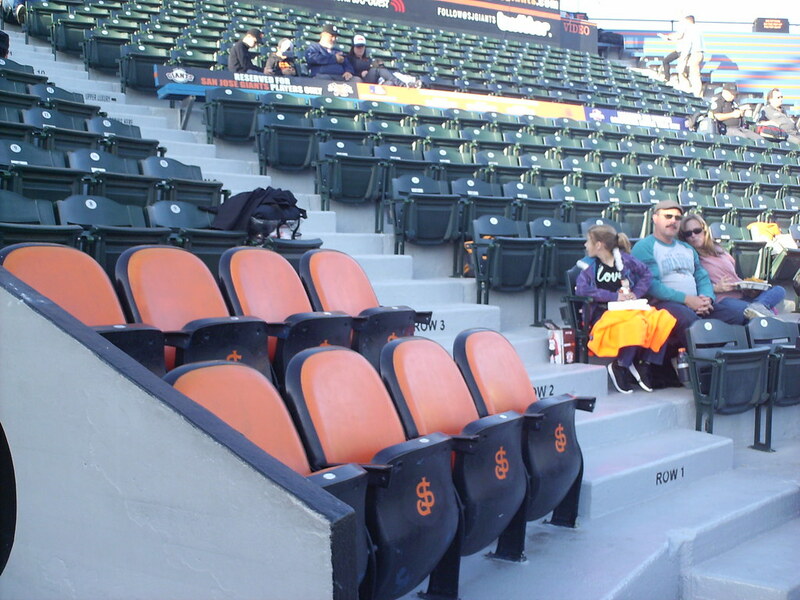 A small metal bleacher section and table seating sit down the right field line. 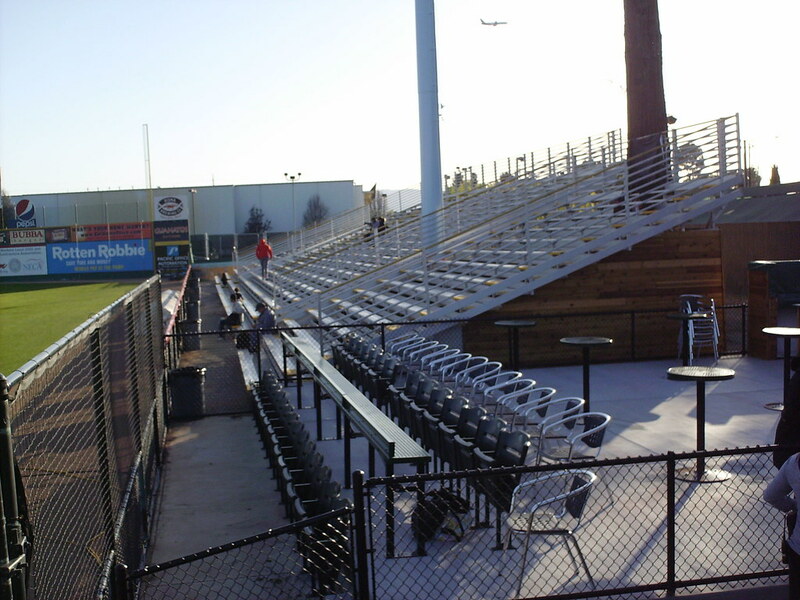 A covered party deck sits in the left field corner at Excite Ballpark. 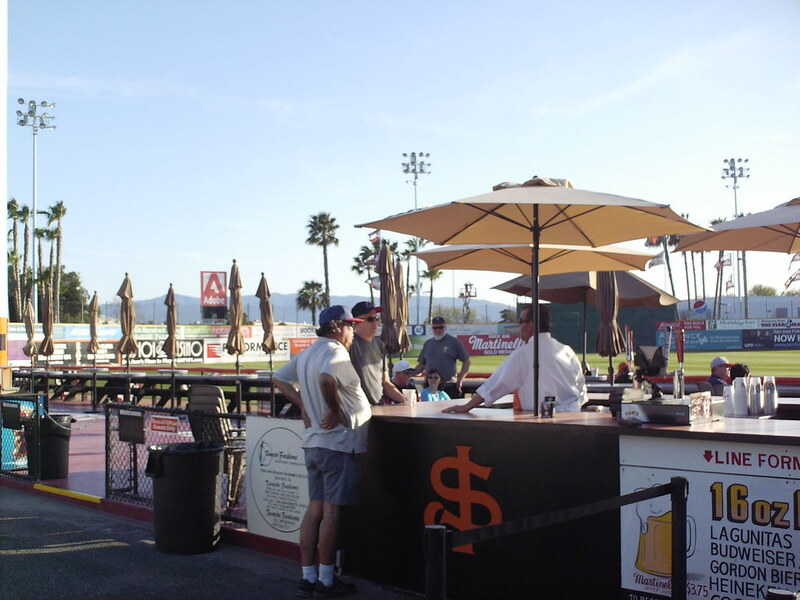 A bar with countertop seating runs along the third base line. 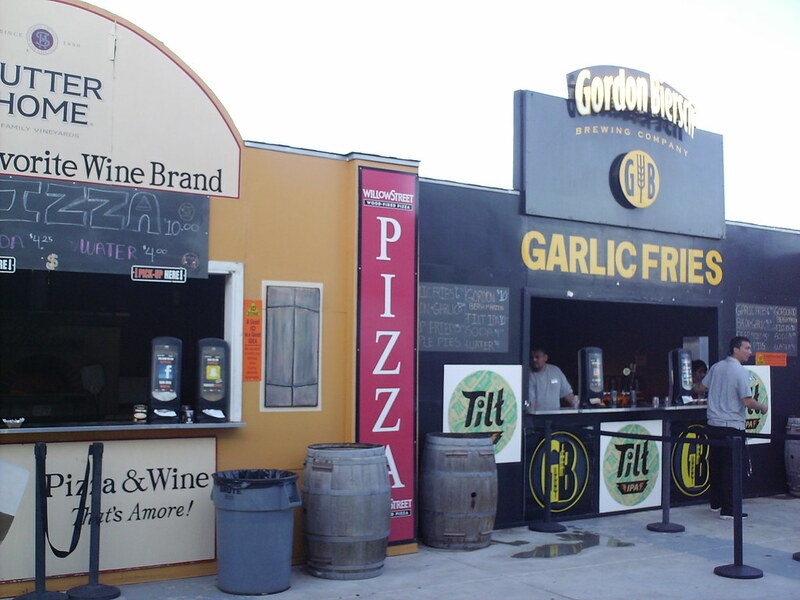 The outer concourse at Excite Ballpark has a carnival feel with varied themed concession stands forming a midway. 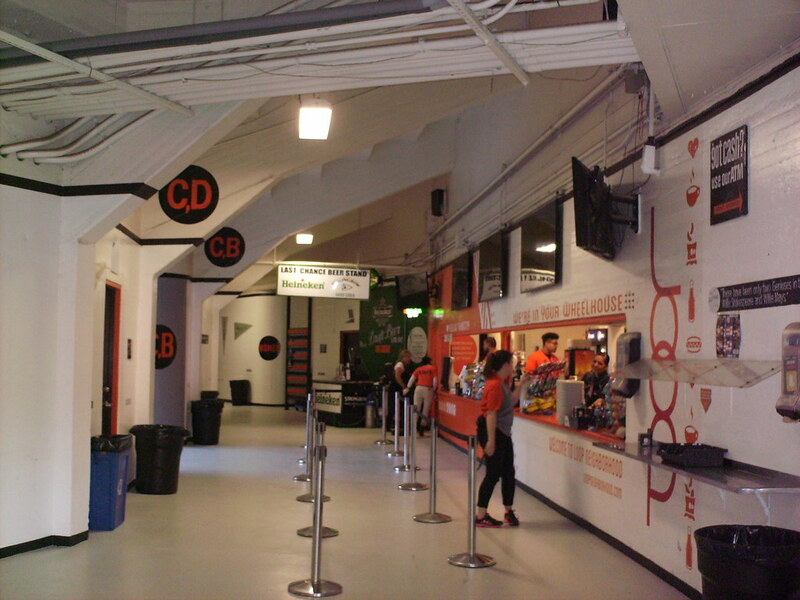 The inner concourse evokes a throwback atmosphere, but is kept meticulously clean for a park of its age. 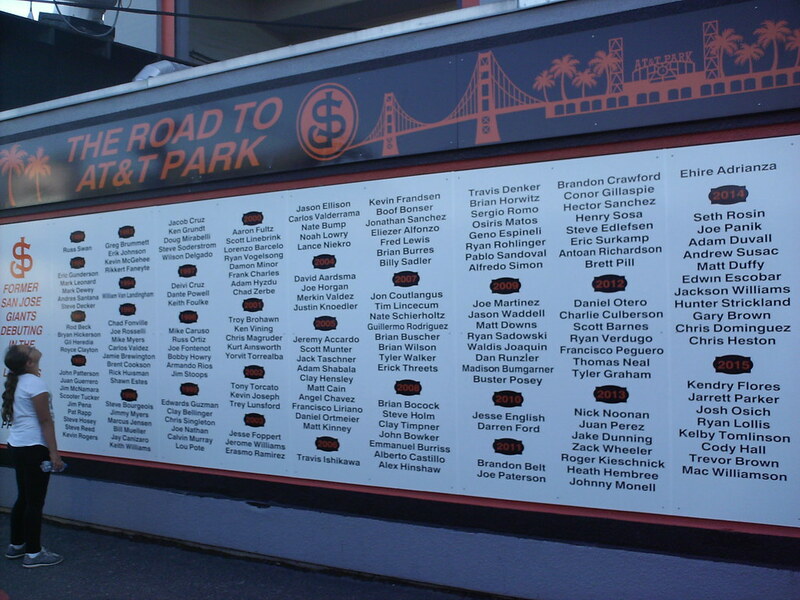 A large banner on the outer concourse celebrates all the former San Jose Giants players who have gone on to play for the parent San Francisco Giants. 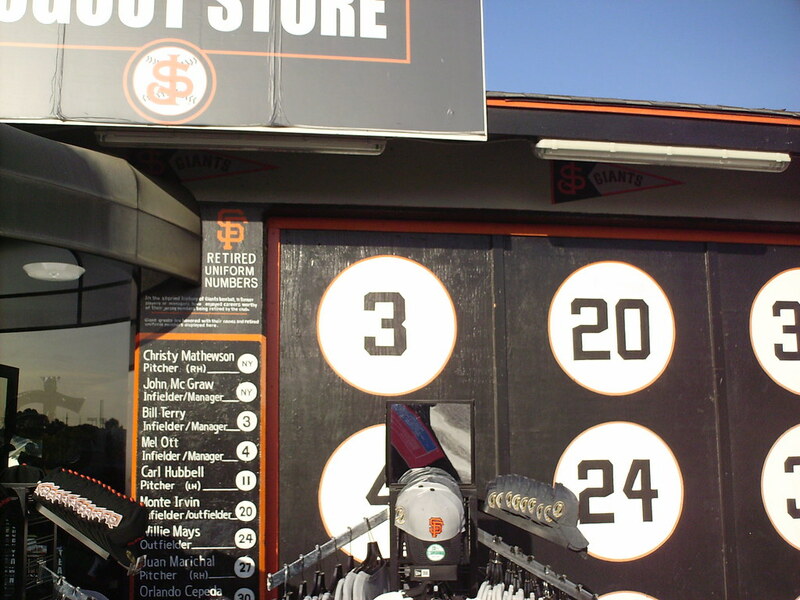 The outside of the team store is decorated with Giants retired numbers. 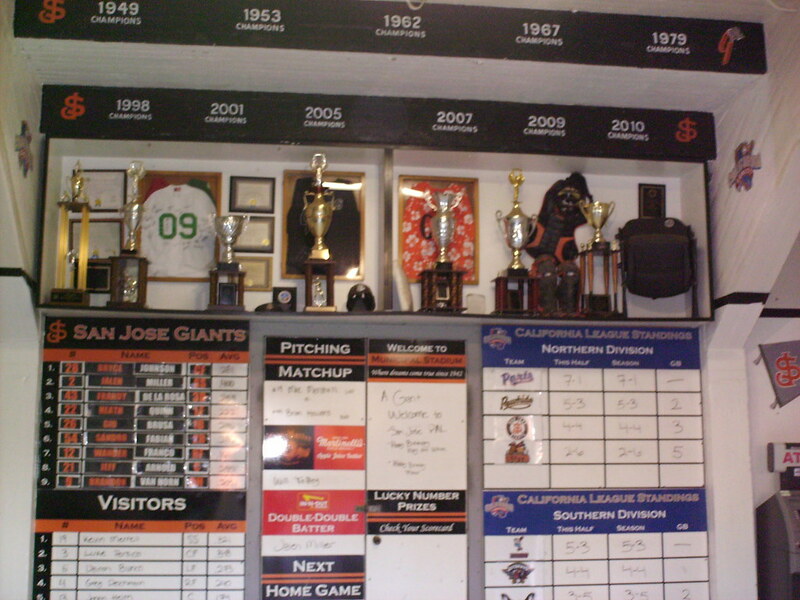 The lineup and stats board is surrounded by celebrations of San Jose's California League championships. 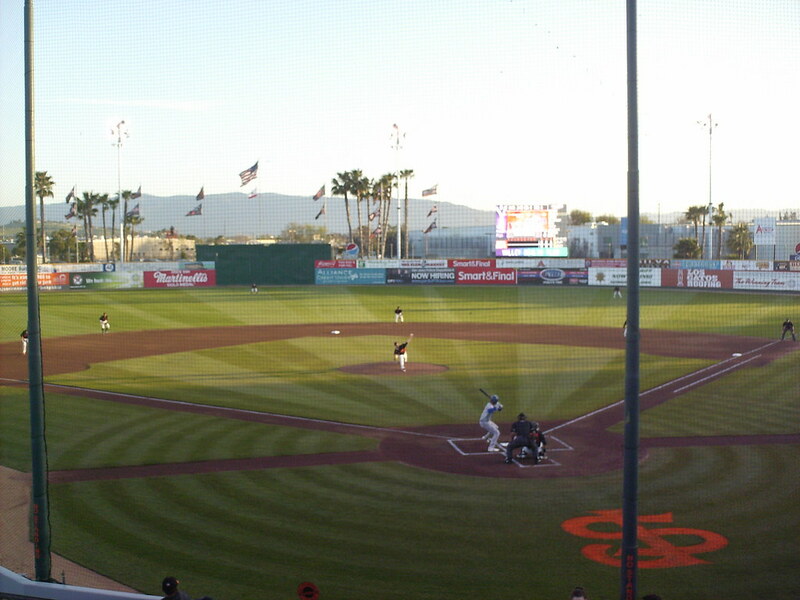 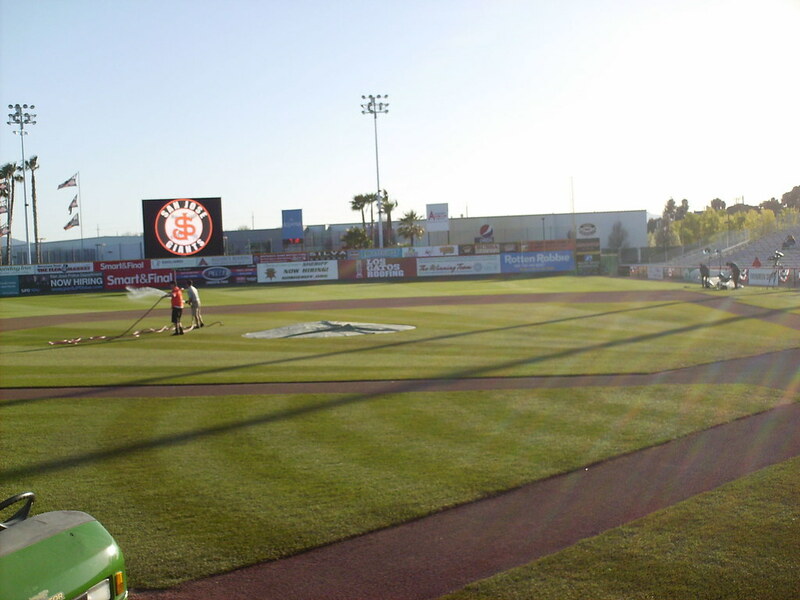 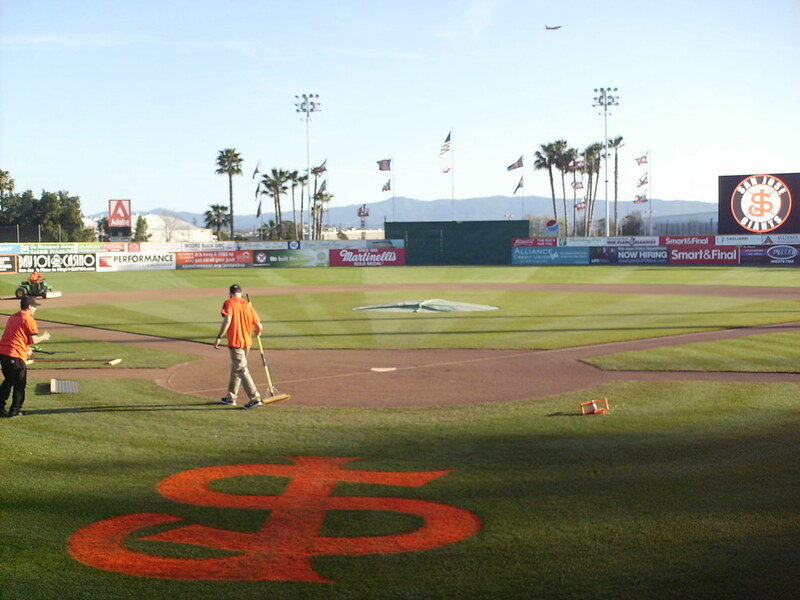 The San Jose Giants on the field during a game at Excite Ballpark.